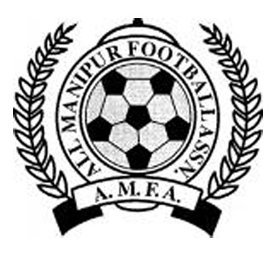 12th edition of Manipur State League will resume its operation from October 16th as informed by All Manipur Football Association. All the league matches were suspended after Football Referees' Welfare Association refused to conduct any more matches after a Referee was assaulted by supporters and officials of Sagolband United after their match against NEROCA FC on Oct 10 at Mapal Kangjeibung. 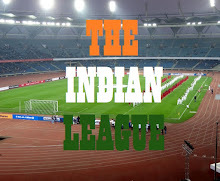 The supporters of Sagolband United were not happy by the decisions of referee during the match which they lost to defending Champions, NEROCA FC and assaulted him while he was on his way to the dressing room. AMFA had called a meeting of all the Team Managers, Coaches and MSL Committee on October 13 to defuse the situation and resume the League. 1. Sagolband United has been penalised with a fine of Rs. 50,000/- by AMFA for the unwanted and unruly conduct against the referees. 2. SU President and Team Manager have also been dissociated with the activities of AMFA and its units for a period of 2 years, and also a fine of Rs. 10,000/- each have been imposed against them. The League will resume from October 16th with Dimapur Road Athletics taking on Nambul Mapal Athletics and Cultural Organisation in the first fixture of the match, followed by 2015 Champions, Anouba Imagee Mangal facing North Imphal Sporting Association. At the end of 8th Round, Keinou Library and Sports Association are yet to drop a point and are at the top of the points table with 24 points. Defending Champions and I-League debutants, NEROCA FC are 2nd with 19 points, which includes 6 wins, 1 draw and 1 loss.